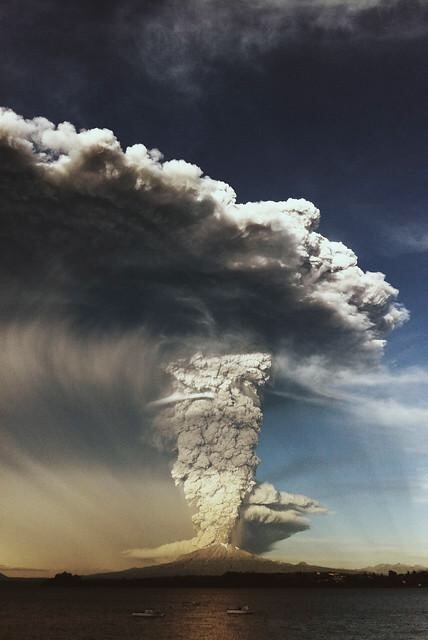 Chilequakezone's Blog | Things going on in Chile and wherever else we travel. Things going on in Chile and wherever else we travel. What a condemning statement. When man sets in his heart to do what he desires, God will remove His hand. And the result is always tragic. It happened in Israel and it’s happening in the USA. We are living in a generation where everyone does what is “right” in their own eyes. Truth and morality are relative. Truth has become “my truth,” or “your truth,” which is absolute nonsense. I despise that phrasing because there is no “my truth,” or “your truth.” Truth is truth, no matter if you agree with it or not. Truth doesn’t care about your feelings. It simply is. It doesn’t matter how you “identify.” If you were born a 6’3 white man, you will never be a 500 pound purple hippopotamus . That is truth, whether you agree or not. So is it any wonder that our young people are confused? And the fault lies in the person looking in the mirror. We have coddled our children, allowed them to discover their “own truth,” provided them with unlimited access to violence and perversion at the flip of an on/off button. They play video games for hours, murdering and performing all sorts of hideous acts. And no, it’s NOT “just a game.” It rewires their brains to be desensitized. Don’t misunderstand me, you don’t have the raise them in an isolated convent for them to grow up to be productive, honorable members of society. You just have to realize that it’s time to stop doing what’s right in our own eyes, and return to what’s right in God’s eyes. Then and only then will we see an end to these tragedies. But until then, I fear we still haven’t seen the worst. People always ask us if we have culture shock when we live overseas. Not at all. You learn to make due with what you have available and adjust, always remembering that you’re not in the USA. However, the culture shock comes into play when returning to the USA. Just walking into the local grocery store will send your brain into overdrive and overload. There’s every type of food imaginable and quite a few that you can’t imagine. I mean really, who thinks of Doritos Loaded (Doritos stuffed with jalapeños & cheese)??? In the USA, we have everything available to us right at our fingertips. We don’t have to plan out our day too often… need a pair of shoes? Just hop in the car and go to the mall, knowing full well that they’ll have your size in just about any style or color, and you don’t have to worry about getting caught up in a riot (at least not normally). My point is, don’t feel sorry for missionaries when they go overseas. That becomes natural for them. But be patient with them when they return home. That is what takes getting accustomed to. I remember as a child, sometimes the worst punishment imaginable was when my dad would look at me with eyes of disappointment and not say a word. Just walk away. I would have much rather had the spanking. When Israel walked away from God, the prophet Isaiah said (chapter 59) that judgement and justice both were far off as they stumbled blindly in their error. The light was all around them yet they couldn’t see it. They roared like bears and mourned like doves. Yet the Hand of God was removed from them. They looked for judgement and salvation but neither were available. God was silent. When people walk away from Truth, just because the judgement of God doesn’t fall immediately doesn’t mean He approves. There is something worse than God’s judgement and that is His silence. My heart is breaking today for the passing of my pastor. This man is responsible for me living for God therefore he is also responsible for the family I have and for anything my lineage ever accomplishes for the Kingdom. That is why I have to remain faithful to the Word that he preached and lived. I know that I am not alone, he replicated himself into countless ministries. Words fail me to describe every moment that I had with my pastor, but I will cherish every one of them. I will cherish hearing that knock on our 5th wheel as he would ask me to accompany him to various places. I will cherish the hours of windshield time as I would chauffeur him. I will cherish every cup of coffee I had with him. But most of all, I will cherish every 6am prayer meeting I had with him. It was in those prayer meetings that I learned what it was truly like to have an intimate relationship with Jesus Christ. As he would pour out his heart on the floor of that prayer room, something would change within him. That crackly voice would become stronger as he conversed with the One who he loved most of all. I was terrified to look up, in fear that I was eavesdropping on the most holy of conversations. They would talk like two old friends that conversed daily, because they were. Today, those two friends have meet, face to face. 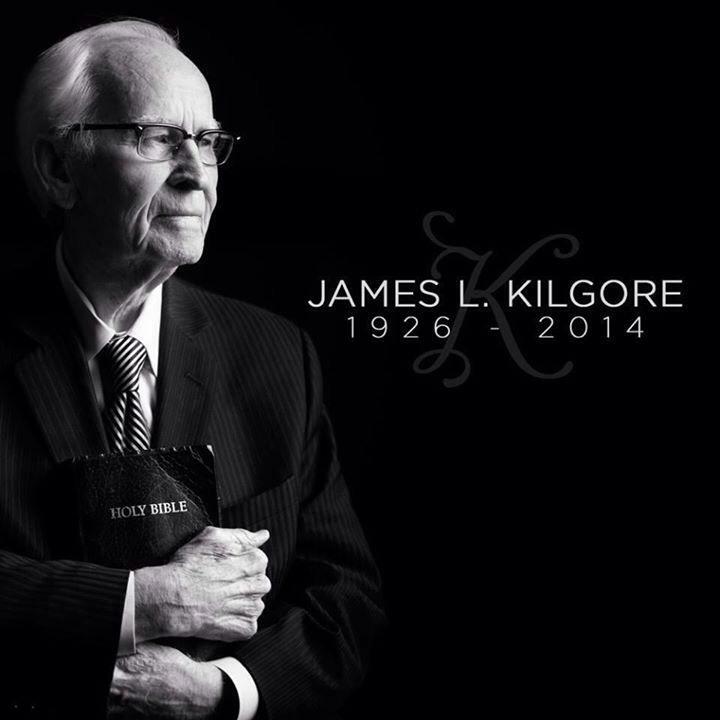 I still have a very long way to go, but I know it is attainable because I saw it firsthand from Pastor James L. Kilgore. Everything he did, he always gave it his best. Whether it was working a job, he always rose to the top. Or when he would get behind the pulpit, he walked in an anointing unlike anyone else I’ve seen. He was giving it his best. He had given it his best in prayer, study and consecration. One of his peer ministers told me, “When your dad would go to the pulpit, the atmosphere changed. He would just say, ‘Hallelujah,’ and the place would explode.” He gave it his best. He gave it his best at being a husband to my mother. I cannot remember one single time where my dad raised his voice, said an unkind word or denigrated her in any form or fashion. He showed me how to be a husband and that love never fails. When she became extremely sick and bedridden for almost 2 years, dad gave it his best. He knew that God had blessed him with my mother and it was his responsibility, privilege and honor to take care of her. He gave it his best. When life’s circumstances dealt him and mom a difficult hand and they were unable to return to the country of their calling, Chile, they handled it with class. I never saw or heard him blame anyone, complain that life was unfair or charge God. Years later, I learned from others some of the circumstances and to be honest, I don’t think I would have been able to handle it with the class and grace with which he handled it. But dad always gave it his best. He took a job in Houston and there, he gave it his best. He is consistently salesman of the year at the Ford dealership where he works. People are drawn to him. I learned of one incident where he went above and beyond anything expected. Houston is prone to severe thunderstorms and this day, there was a bad one. Dad saw other salesmen standing at the window, laughing. When he stepped out of his office, he saw what they were laughing at. A lady had broken down on the side of the road (a flat tire or something). With a stern reprimand to those who thought this was comical, dad went out to assist the woman in distress. The next day, she came in with her family and they bought a new vehicle from dad. It always pays to give your best and dad always gave his best. Dad never pressured me to “follow in his footsteps.” He knew that the calling had to come from God and that no one can take it upon himself. But the day that I told him that God was calling us to Chile, he had a knowing smile on his face. He said that when they left Chile, God told him that his son (me) would carry on the work and pick up where he finished. He never told me beforehand because he wanted me to give my best where I was laboring at the time. It had to come from God. I have huge shoes to fill in that nation, but with the help of God and the wisdom instilled in me from my dad, I will always give it my best, knowing that no matter what happens, I have an irreplaceable gift from my dad. Welcome to my ramblings. Loving life here in Chile, although the earth shaking does get old! This is one incredible country. I am husband to Dena, the most beautiful woman in the world, father to Jordan, Joshua & Elizabeth, the three most awesome kids ever. 'Nuff said.